Cracker Barrel used a Lamar bulletin Billboard to advertise an upcoming restaurant. Situated on the side of a busy Highway in Louisiana, the Billboard cannot be missed. 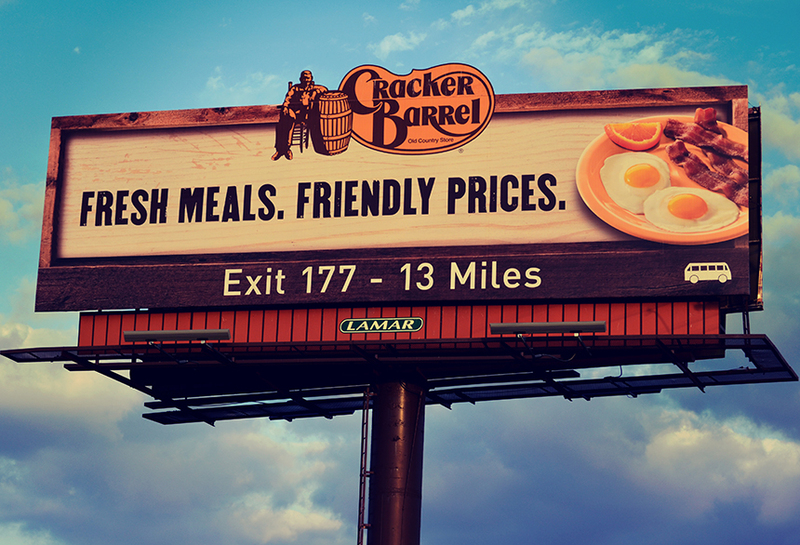 The Billboard extension depicting the upper half of the cracker barrel sign adds to the signs visibility.